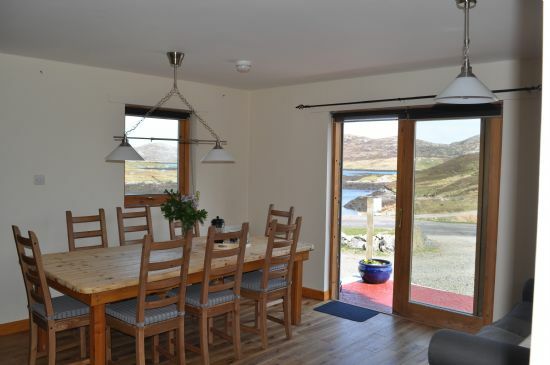 The house features a spacious upstairs sitting room/ viewing area with a fabulous view over Baymore (Bagh Mor - big bay) beyond which lies the rugged island of Ronay where red deer roam free and eagles fly overhead. 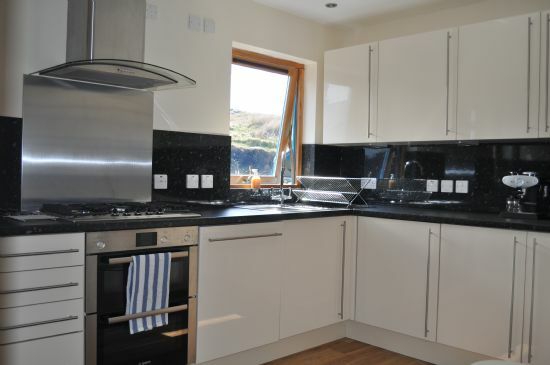 The accommodation comprises a large dining area with a patio door which shares the same views over Ronay, adjacent to which is an extremely well equipped and modern kitchen. 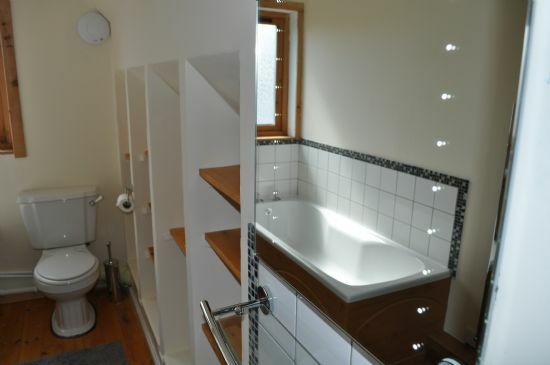 Two downstairs bedrooms (one double, one twin) share a bathroom with shower. 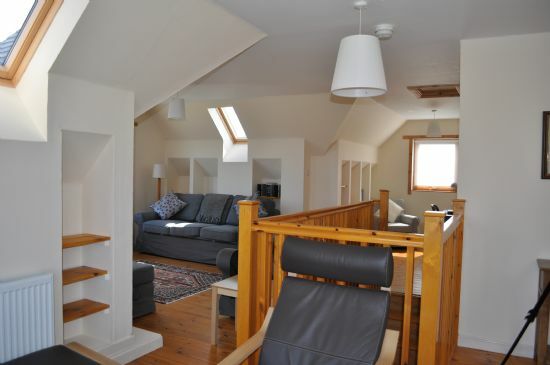 A double bedroom is situated upstairs with its own bathroom. 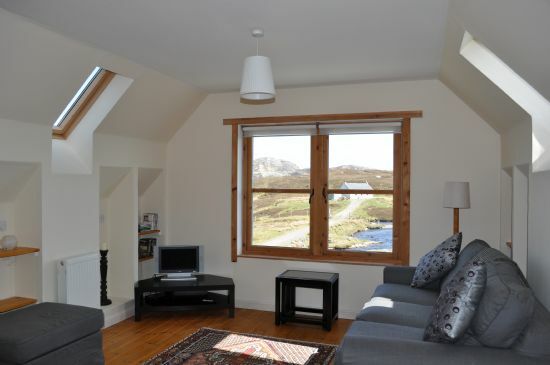 "Three generations of the family thoroughly enjoyed staying at Baymore House. It is well equipped to a high standard. The library of books and DVDS is impressive, and the toys and games were much appreciated. We had great weather but had we not I could still imagine having a great time. It worked particularly well as there are bedrooms on different floors and discreet areas to 'retreat' to. 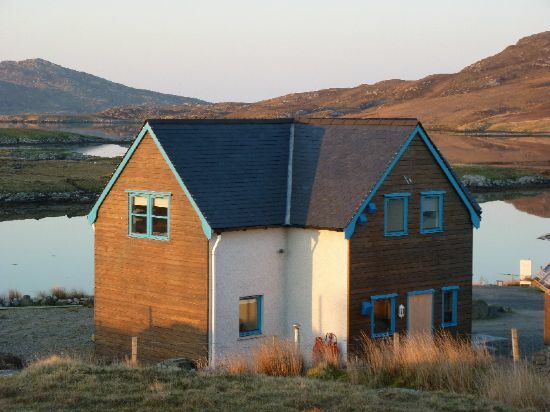 Photographs of the house do not do it justice."